Jack Lessenberry for Wednesday, April 18. Today I decided invasive species deserved more attention. 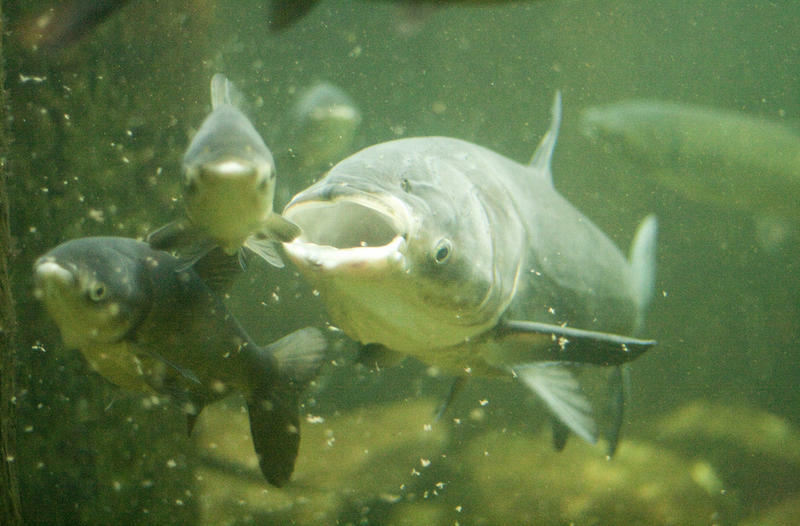 Five years ago, I thought that bighead and /or silver carp would be firmly established in Lake Erie by now, given government’s dragging its feet on serious efforts to keep them out. But the good news is that this evidently hasn’t happened. Of course, other harmful invasive species like zebra mussels and round gobies are firmly established in the lakes, and I started wondering how many invasive species are presently altering the lakes’ ecology. So I sat down with two people who eat, sleep and breathe this stuff: Rochelle Sturtevant is the Ann Arbor based Michigan program manager for a federal program called GLANSIS, which stands for the Great Lakes Aquatic Nonindigenous Species Information System. Jay Hemdal, who lives in Dundee, is the general curator at the Toledo Zoo but has worked with aquatic animals for more than 40 years and has done research into how invasive species flourish. They were able to answer my question about how many invasive species have been established in what’s been called the Great Lakes ecosystem – more than 180, including at least 25 species of fish, including the predatory sea lampreys and beach-fouling alewives. Most of the rest are plants, including species I had no idea were not native, including the common reed, some forms of cattail and the ubiquitous purple loosestrife. Even when these don’t do clear direct damage themselves, they crowd out native species. Sturtevant surprised me by saying that only about thirty percent of invasive species have gotten in through ships’ ballast water, something that became a problem after the St. Lawrence Seaway opened in the 1950s. 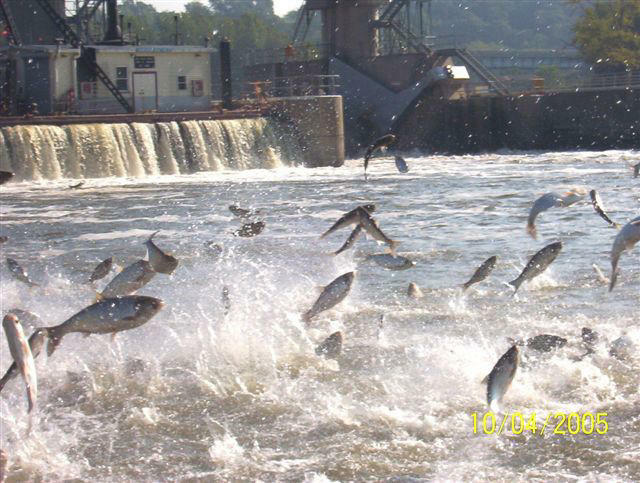 In too many other cases, misguided people deliberately introduced species, or they accidentally escaped into the water, which seems to be how Asian carp got into the Mississippi. Actually, both experts thought we do have a fairly good chance of keeping Asian carp from being established in the lakes. Ironically, Hemdal said, this may be in part because earlier invasive species, like the gobies, are sucking up most of what would be the carps’ natural food sources. 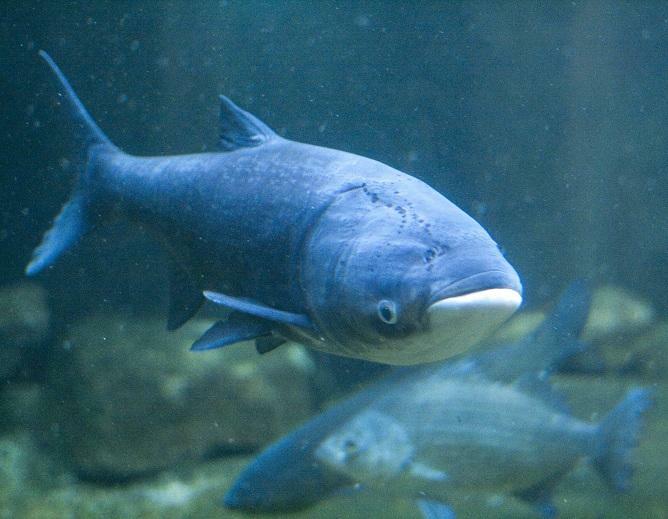 While individual Asian carp may have gotten into the lakes, Hemdal thinks you’d need to have about 50 for them to have a stable breeding population. However, he admitted it could happen with far fewer fish. There are days, Hemdal, admitted, when he is tempted to throw up his hands and admit trying to preserve the Great Lakes ecosystem is hopeless. 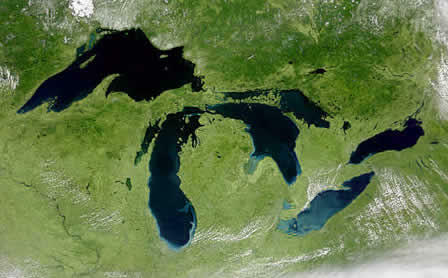 from the Great Lakes Restoration Initiative. That’s the program that the Trump administration has unsuccessfully tried to kill every year. If there’s any issue worth pushing congress to keep fighting the White House on, this is it.